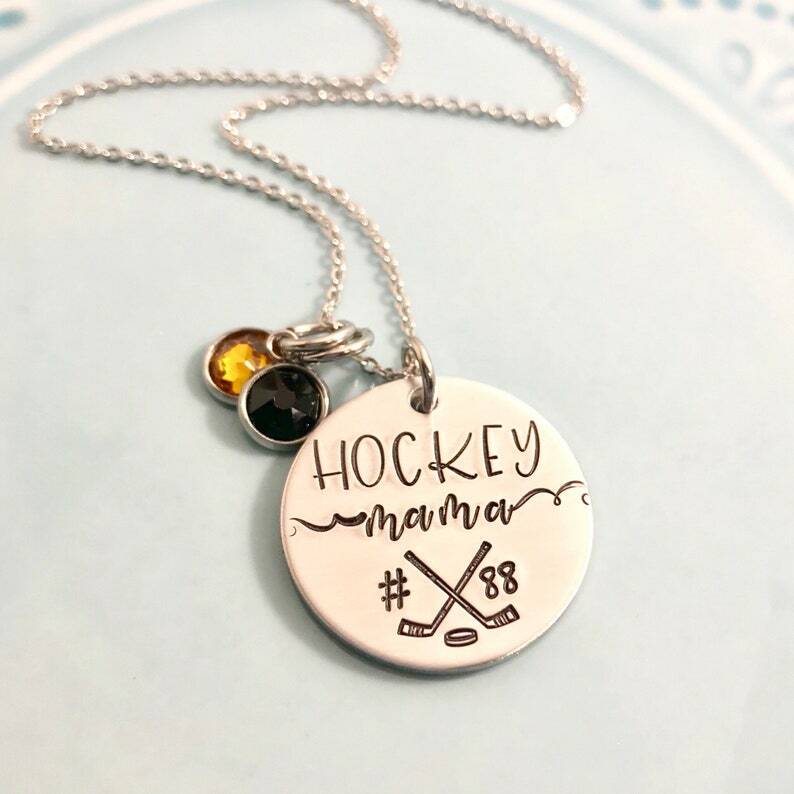 This hockey mom necklace includes a 1" aluminum round charm personalized with your player's number and my exclusive crossed hockey sticks design stamp. It also comes with two Swarovski crystal charms in your team’s colors. The chain is an 18" adjustable stainless steel cable chain. Had an issue with part of the product breaking but the seller was very quick to get a replacement out. Great response time to an issue.